Buckinghamshire is a county in southeast England which borders Greater London. With a population of over 750,000 and a great location for getting to the capital, there is a strong property market in Buckinghamshire. At My Home Move Conveyancing we provide a specialist, fixed fee conveyancing service. We can help you find your perfect home in Buckinghamshire, having developed our knowledge and expertise of the county’s property market since 2001. When buying or selling property in Buckinghamshire, you need to instruct property lawyers to complete the legal work on your behalf. 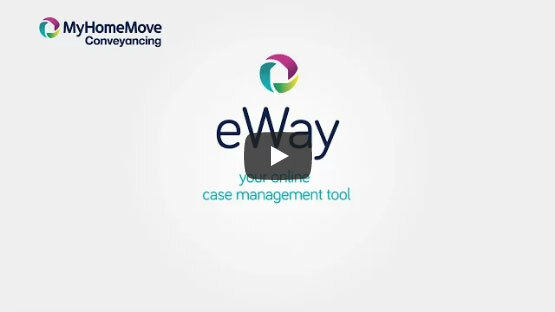 When you choose My Home Move Conveyancing to be your Buckinghamshire conveyancers, you’ll reap the benefits of our award winning customer service, innovative use of technology and intimate knowledge of the local market. You’ll know exactly what you’re going to pay right from the beginning, as our conveyancing service comes for a fixed fee. If you don’t end up moving for some reason, you won’t have to pay us a penny in legal costs. We assign each of our clients a dedicated conveyancer who will oversee your case from start to finish. You’ll be given clear, regular progress updates from a consistent point of contact, as well as online access to your documents. At My Home Move Conveyancing we’re proud to have assisted clients with our conveyancing services in Buckinghamshire, including those looking for something as close to London as possible and in towns such as Milton Keynes, Aylesbury, Buckingham and High Wycombe. The average house price in Buckinghamshire is £401,983, with detached properties costing most at £714,414. The average price of semi detached properties is £388,061, terraces £310,443 and flats £228,631. One of the home counties, Buckinghamshire is commonly abbreviated to Bucks. There’s plenty of history to discover in the local area, which encompasses Celtic, Roman and Anglo-Saxon occupation. There’s also lots of natural beauty to explore, with a large section of the Chiltern Hills running through the south of the county. Great for walking and cycling, the peaceful countryside provides the perfect complement for the modern amenities found in the local towns. If you need to get into London or commute to the capital, Buckinghamshire is a great place to live away from the hustle and bustle of the city. Trains from places such as Beaconsfield take just over 20 minutes, while it’s half an hour from High Wycombe and 45 minutes from Milton Keynes. The M40 motorway passes through the south of the county, while the southeast of Buckinghamshire has good access to the M25. There are plenty of excellent schools across the county, with a total of approximately 200 primary schools and 40 secondary schools to choose from. Bierton CofE, Bourton Meadow in Linden Village, Grendon Underwood in Aylesbury and Holtspur School in Beaconsfield are among the primary options. Secondary choices include Aylesbury Grammar, Buckingham School and Wycombe High School, while the University of Buckingham, Buckinghamshire New University, the Open University and University Campus Milton Keynes all provide higher education facilities.